“You’re not going to serve those $8 sausages at breakfast are you?” Greer Carlisle asked suspiciously. 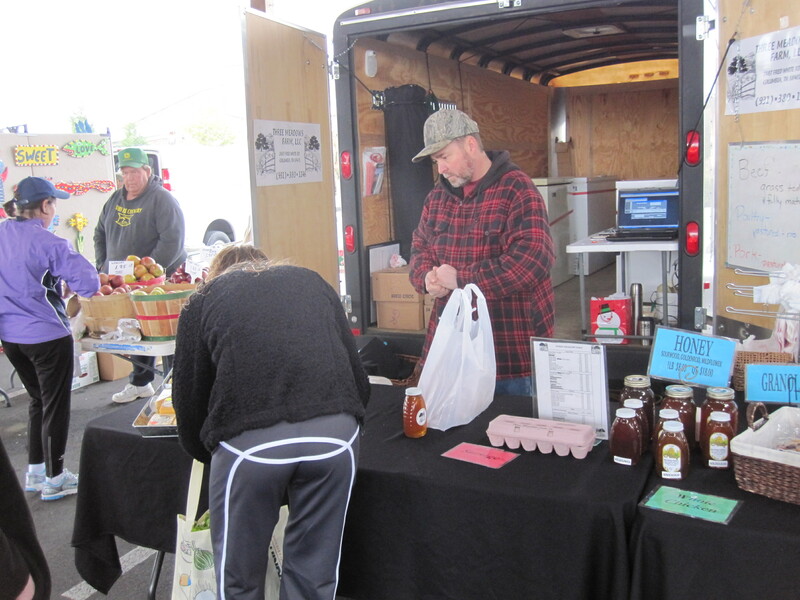 We were standing in front of the West Wind Farms stand at the farmer’s market one Saturday morning and I was regaling Greer with the wondrous quality of Ralph Cole’s hot sage pork sausage. Greer goes to church with me and he’s on one of the Men’s Club’s breakfast cooking teams. Ordinarily, breakfast at church is a pretty basic affair: scrambled eggs, sausage, grits, gravy and biscuits, all for a modest monetary donation. But Josh Sutherland, the president of the Men’s Club, has thrown down the gauntlet. He has announced a contest in which each team will try to raise the most money. The winning team will get aprons. Aprons! Well, we are all very excited about that. I will modestly say that I put on a pretty good spread for church breakfast. Sometimes it’s Emeril’s Creole Bread Pudding. Sometimes Mark makes these delicious breakfast quesadillas oozing with melted cheese. We just try to add a little sparkle to the menu. It is a little unusual that I’m on a Men’s Club cooking team, but that’s probably a story for another day. Maybe I’ll tell that one when I tell you why I’m also the Men’s Club procurer of supplies for the kitchen. Or maybe I won’t. No need stirring up trouble. I am not going to tell Greer that they come out of a box, and don’t you either. He would never let me live that down. But I’m telling you because you’ve got to try this. These things are so addictive Mark and I ate a whole batch ourselves. 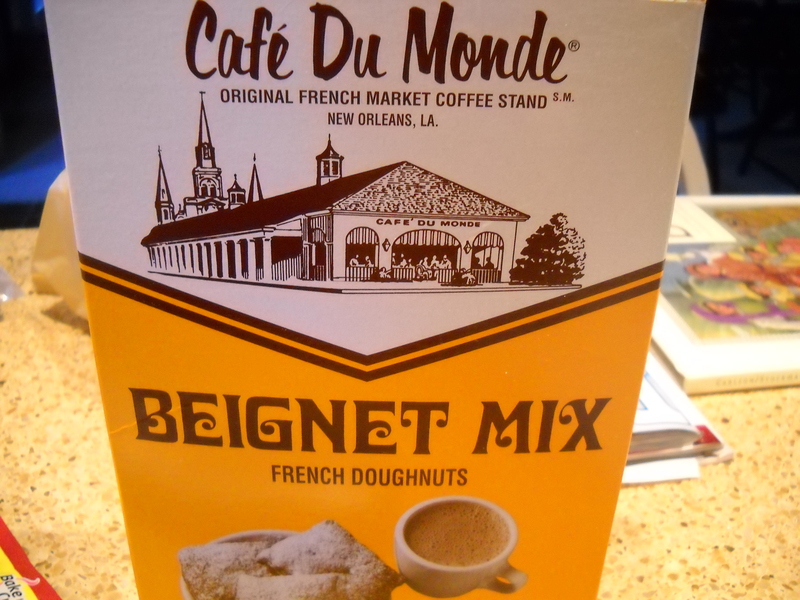 Cafe Du Monde in New Orleans makes the mix and if you can’t find it at the Publix or wherever you shop, you can order it online. 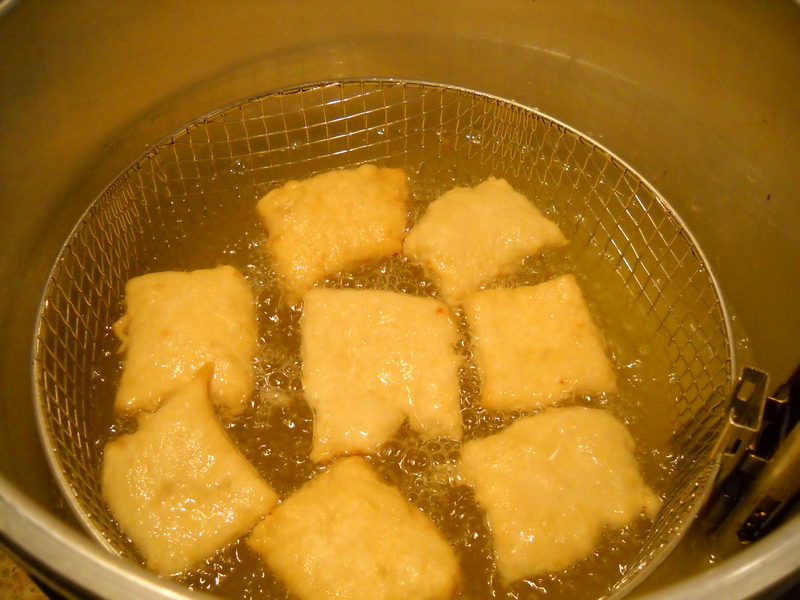 So I’m thinking Greer will just turn green when he gets to church on Sunday and finds me frying my Beignets, which he thinks I made from scratch, to order in my Fry Baby Deep Fat Fryer. I am proud to say Kirby Horton, another of our team members, invented the to order menu items when he volunteered to make eggs to order a few months ago. This has given our team a distinct advantage over the others. 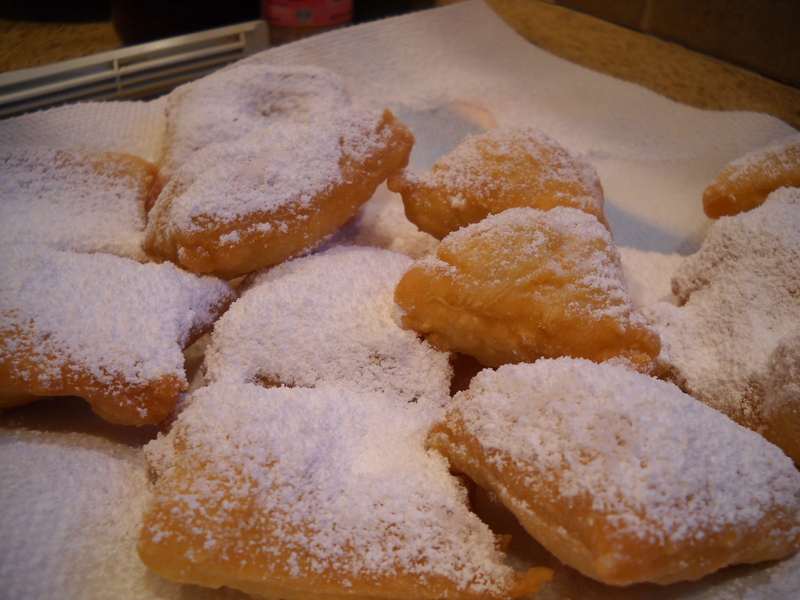 I am sure that the Beignets will inch us towards victory, but I’m saving the coup de grace for our last breakfast of the year. I am going to digress here to say that coup de grace is French for “blow of mercy,” meaning a blow intended to end the suffering of a wounded creature. That’s not too ugly, is it? For our last breakfast, I’m making Eggs Benedict. With homemade Hollandaise sauce. To order, naturally.